AJIN: Demi-Human (2016) on Netflix Luxembourg. Check worldwide Netflix availability! If AJIN: Demi-Human isn't available in your country, or you are visiting a country where it isn't, there is still a way to watch it! 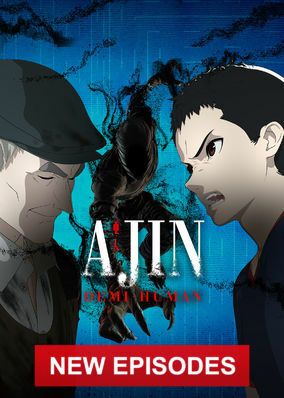 A teenager discovers that he is an Ajin and flees before the authorities experiment on him. Other Ajin plan to fight back and he must choose a side. Give yourself up and you'll be dissected. Fight back and you might cause genocide. And you don't even know what you are.